MOSCOW (Sputnik) – The Russian state space corporation Roscosmos is holding talks with the United Arab Emirates (UAE) on sending a UAE cosmonaut to the International Space Station (ISS) for a month, the corporation’s press service told Sputnik. “The flight with the participation of the UAE cosmonaut is scheduled for April 2019. The launch will be carried out with the help of the manned transport spacecraft Soyuz MS-12. The organization of a long-term ISS mission for the UAE for a period of up to a month is also being discussed,” the press service said. Moreover, the corporation’s press service told Sputnik that other Gulf States also interested in sending their cosmonauts to the Eatrh's orbit. “Roscosmos is holding negotiations on manned flights to the Russian segment of the ISS with other states and organizations both in the Gulf States region and outside it,” the press service said. The corporation pointed out that the negotiations with different states were at various phases. “When some specific agreements are reached, a separate statement will be issued,” the press service added. 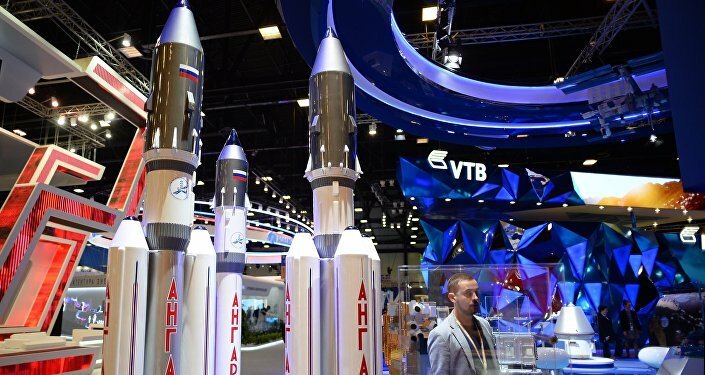 On June 20, the Russian space corporation said that a preliminary deal was signed between the company and the Dubai-based Mohammed bin Rashid Space Center (MBRSC) on the provision of services for the flight of one UAE astronaut to the ISS. Last month, nine UAE candidates arrived in Russia for medical tests. Two of them – a future cosmonaut and a backup — will be selected for further training that will start in September.